By now, you’re probably either stuck at home thanks to snow, waiting for the snow to arrive, or wishing that you had snow. If you can’t make it to work or school, you might pass the time by making a snowman. Here’s some inspiration for your creations—or, if you live in a warmer climate, some pictures to cool off with. 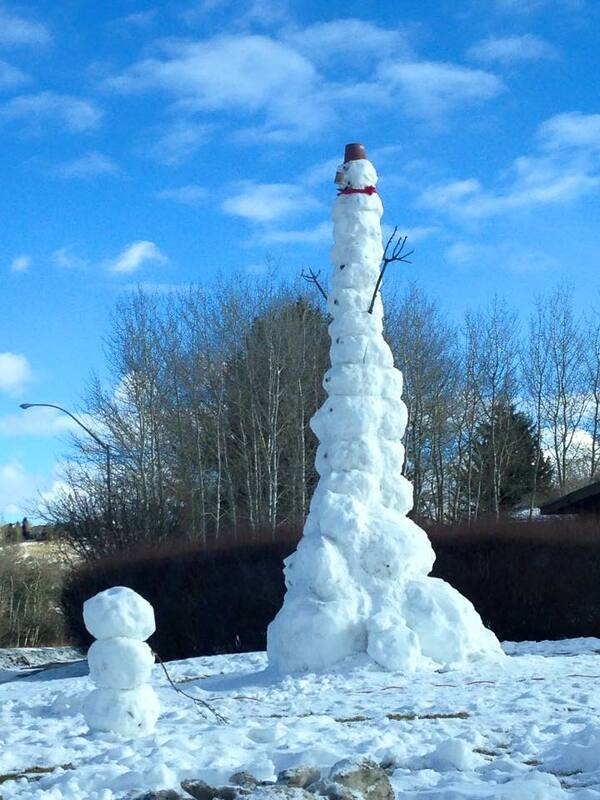 SixgunSaint snapped a photo of this impressive snowman in Bozeman, Montana, last year. The engineering students of Montana State University constructed the massive Frosty, which The Bozeman Daily Chronicle reported was around 20 feet tall. When you make a Domo-kun out of snow, he becomes Snomo-kun! Redditor popartandsoda made this beggar snowman as the snow was starting to melt last year. Moomins are characters from a series of Swedish books, well known in Europe and lovingly recreated here in snow, with orange peel eyes! A new instantly recognizable pop culture snowman came into being in 2013, thanks to the Disney movie Frozen. Olaf here was created by, or possibly just spotted by, nsx9891. It’s not often you come across a snowman dancing on one foot! From Eriksberg, Sweden, here are three characters using a public park as if it were summer. A scene from Gulliver's Travels is recreated in this snow sculpture. The builder isn’t identified, but they put a lot of care into it. A very good likeness of the “rage face” rendered in snow. Doctor Who fan Phil Plait of Bad Astronomy Blog built this Dalek out of snow in 2009. See more pictures in the Flickr set dedicated to it. Jorogasm doesn’t know who made this hungry snowman, but it was worth taking a picture and sharing with us. The most creative and subversive snowmen of all were those depicted in the comic strip "Calvin and Hobbes." Calvin's snowmen didn't just stand there smiling. He made snow tableaux that told stories, usually of murder and mayhem that made us laugh anyway. Ever since they were first published, people have frozen their hands recreating them from real snow. This set is called The Grieving Family. See more such scenes in the Flickr pool "Calvin & Hobbes" in Real Life. 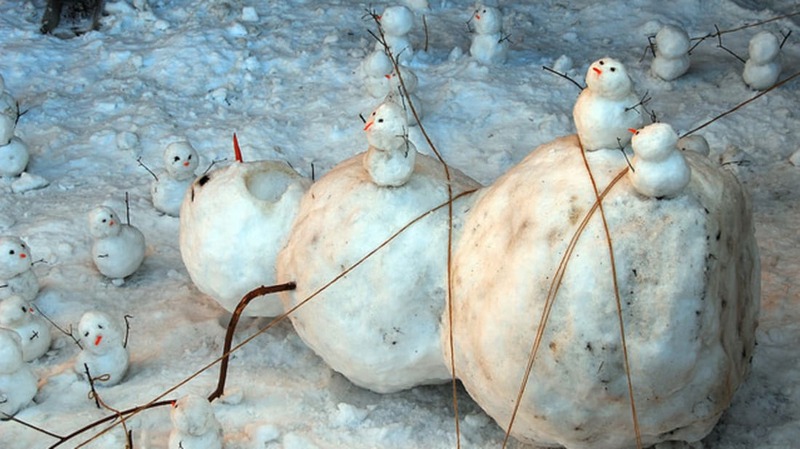 See also: 12 Clever and Creative Snowmen and 8 Snowmen You Wish Were in Your Yard.